Do not pass up this opportunity to release your big 6.0L V8 from the stock intake, with this aFe Stage 2 Pontiac G8 GT Cold Air Intake. Looking for an affordable increase in performance? 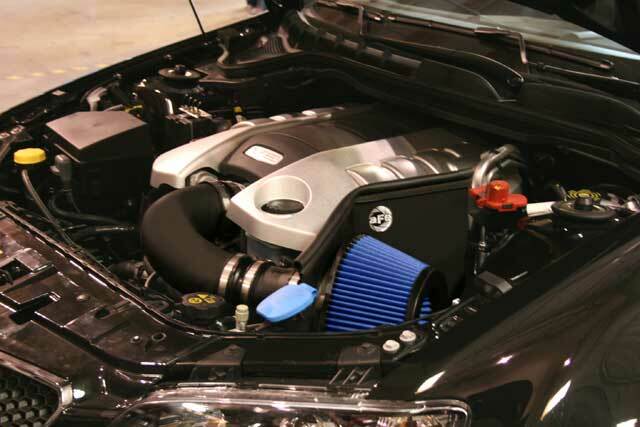 A cold air intake is perfect for your Pontiac G8 GT. 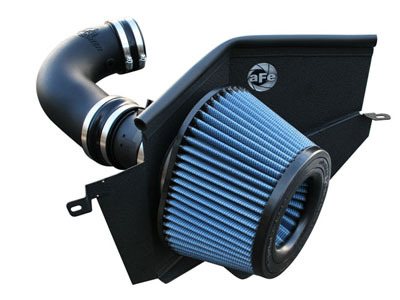 aFe has built this intake from the ground up, guaranteeing you a perfect fit and maximum performance gains. Do not pass up this opportunity to release your big 6.0L V8 from the stock intake, with this aFe Stage 2 Pontiac G8 GT Cold Air Intake. With an astonishing increase of 11 max horsepower, 13lbs. x ft. torque and out-flowing the factory intake by 53%, this aFe intake for the Pontiac G8 will really rocket your Pontiac G8 to the top. 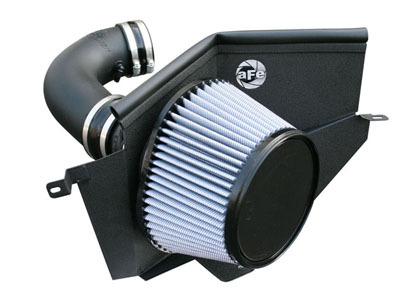 This aFe intake allows your big 6.0L V8, it to breath deeper, giving it more power, better MPG and a deep rumble underneath the hood. This aFe Stage 2 Pontiac G8 GT Cold Air Intake features a heat-insulating molded plastic tube that replaces the stock intake tract. This directs increased air flow with improved volumetric efficiency for maximum performance. The one-piece heat shield requires little or no assembly and the filter is constructed with 100% polyurethane for long life and multiple cleaning cycles. On top of that this system includes a durable 16 gauge, powder-coated heat shield and includes a washable/reusable conical Pro 5R air filter for maximum flow. AFE filters are constructed from 100% poly-urethane which makes them very durable, and resistant to high temperatures and chemicals. The construction of the pleats in the filter is deeper than that of any other filter, this provides for an increased flow and prevents a greater amount of dust from reaching your engine.